Team BlackBerry celebrates 10th Anniversary existence here in Singapore with a new product, BlackBerry Q5 which will be available across all 3 Singapore Telcos, namely Singtel, M1 and StarHub with a retail price of $528. As of now, it will only be available in Black and White colour, although I think Red colour will be more appealing. It will be available for sale 2nd August, 2013. 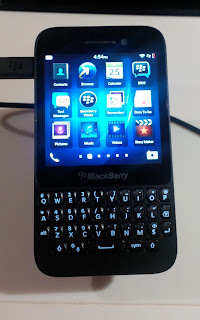 BlackBerry Q5 is cater for customers who are concern about budget yet want to enjoy a QWERTY keyboard in a stunning, youthful design and makes it easy for users to have fun, create, share and stay connected via social networking and messaging. 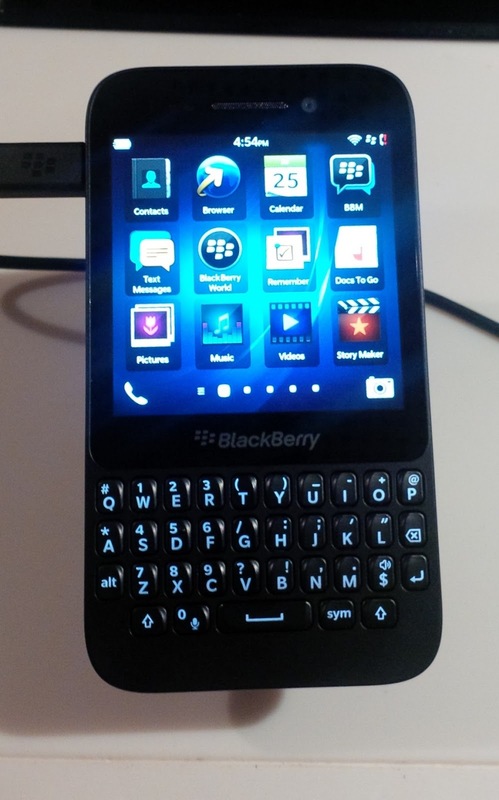 It is pre-loaded with BlackBerry 10 OS version 10.1, similar to the existing OS which are available in BlackBerry Z10 and Q10. This means you can also sideload Android Apps. 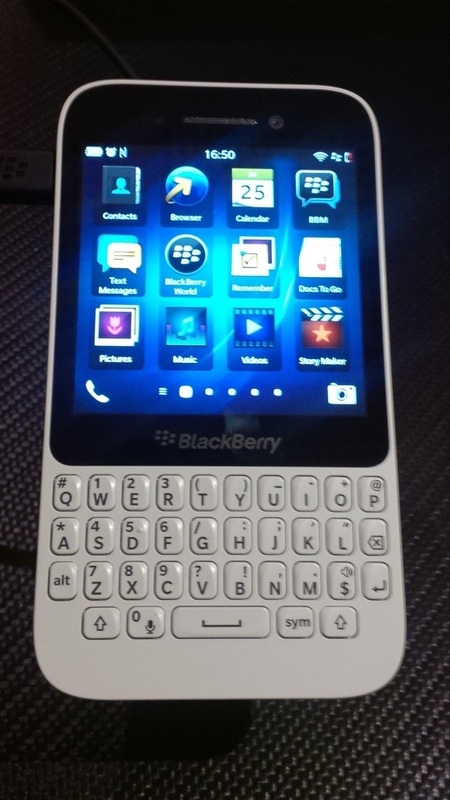 Q5 QWERTY keyboard do remind me of their legacy BlackBerry Curve edition, the island-style keyboard. One thing I do notice, when you press one of the letter, surrounding letters will sink in a little, however that doesn't affect my typing experience and it does feel different as compared to typing with Q10. It is not a matter of which is better feel, but just an issue of preference. 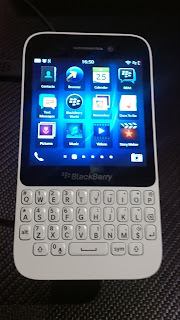 In fact, just like what one of the Team BlackBerry representative had told me during the launch event, BlackBerry is probably the only Smartphone manufacturer that still produces a QWERTY keyboard handheld. Building on what they do best! BlackBerry Q5, similar with Q10, comes with 720 x 720 resolutions, 3.1 inch, IPS LCD display which will display consistent and accurate colour from all viewing angles. Unlike the other LCDs, it do not lighten or show tailing when touched. As such it offer clear images and stable response time. Q5 offer a slightly bigger battery capacity, 2180 mAh, non-removable. 5 MP rear facing camera, Auto Focus, 5x digital zoom, 1080p HD video recording. 2MP front facing camera, 3x digital zoom, 720p HD video recording. Usual stuff like Wireless 802.11 b/g/n, Mobile Hotspot. 4G LTE available. Hot Swappable microSD slot, support up to 64 GB. 8 GB Internal Storage. 2 GB RAM. Dual Core 1.2 GHz Processor.